"There is a peculiar gratification on receiving congratulations from one's squadron for a victory in the air. 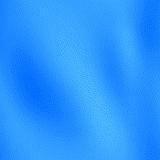 It is worth more to a pilot than the applause of the whole outside world. It means that one has won the confidence of men who share the misgivings, the aspirations, the trials and the dangers of aeroplane fighting." Captain Edward V. Rickenbacker, USAS. Edward Vernon Rickenbacker was born October 8, 1890, in Columbus, Ohio. With little formal schooling and a succession of jobs behind that, he began working for a railroad car manufacturing firm in 1905. There he developed a deep interest in internal-combustion engines and engine-powered vehicles. He began driving racing cars at sixteen (he became a regular at the Indianapolis 500 from its first year, 1911). By the time the United States entered World War I he was internationally famous as a daredevil speed driver and held a world speed record of 134 miles per hour. In 1917 he enlisted in the army and went to France as a member of Gen. John J. Pershing's motor car staff. With help from Col. William Mitchell, he secured a transfer to the Air Service in August, took pilot's training almost immediately demonstrating an exceptional combat ability, and early in 1918, with rank of captain, was assigned to the 94th Aero Pursuit Squadron. 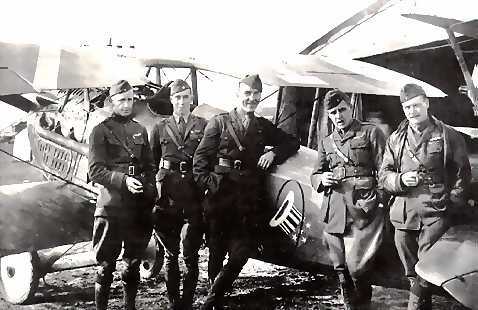 The 94th, which adopted the famous hat-in-the-ring insignia, was the first U.S. flying unit to participate actively at the front, fighting the flying circus commanded by the German ace, Baron Manfred von Ricthofen. In May 1918 Rickenbacker succeeded to command the 94th in the temporary rank of major. 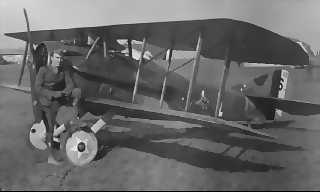 By the end of the war the 94th had downed 69 enemy craft, of which Rickenbacker, the ace of aces accounted for 26 (22 airplanes, 4 observation balloons). He earned every decoration possible, including the Medal of Honor, awarded in 1931 for his lone attack on seven German planes, two of which he downed, on September 25, 1918. Returning to the United States a hero, he organized in Detroit the Rickenbacker Motor Company. The company was dissolved in 1926, and the next year he bought a controlling interest in the Indianapolis Speedway, which he ran until 1945. He later worked for the Cadillac division of General Motors Corporation and then was associated with a number of aircraft manufacturers and airlines. In 1935 he became general manager and vice president of Eastern Airlines. Three years later he became president and director of the line. His experience and technical knowledge prompted his appointment as special representative of Henry L. Stimson, Secretary of War, to inspect air bases in the Pacific theater of war in 1942. In October 1942, on his second mission over the Pacific, his B-17, crashed some 600 miles north of Samoa, and he and seven men (one of whom died) were set adrift on rubber rafts with only fish and rain water to sustain them. After 24 days he was rescued, and after a two-week rest, he resumed his tour. After the war he returned to Eastern Airlines, where he remained, from 1954 as chairman of the board, until his retirement in 1963. He died in Zurich, Switzerland, on July 23, 1973 and is burried at Greenlawn Cemetery, Columbus, Ohio. This is a diagram of flight maneuvers from Rickenbacker's 1919 book Fighting The Flying Circus. RICKENBACKER, EDWARD V. - Air Mission 1Lt, US Army Air Corps, 94th Aero Squadron, Air Service. Action: Near Billy, France, 25 Sep 1918. Inducted: Columbus, Ohio. DOB 8 Oct 1890, Columbus, Ohio. G.O.#2, W.D, 1931. Citation: For conspicuous gallantry and intrepidity above and beyond the call of duty in action against the enemy near Billy, France, 25 Sep 1918. While on a voluntary patrol over the lines, 1st Lt. Rickenbacker attacked 7 enemy planes (5 type Fokker, protecting two type Halberstadt). Disregarding the odds against him, he dived on them and shot down one of the Fokkers out of control. He then attacked one of the Halberstadts and sent it down also.